Belin has been a French educational publisher since 1777. Its main ambition has always been the transmission of knowledge, by the publication of textbooks at all levels as well as non-scholastic titles in many fields such as popular science, history, geography and philosophy. The young reader’s list Belin Jeunesse comprises both fiction and non-fiction titles – from picture books to novels – for children aged from 5 to 12. 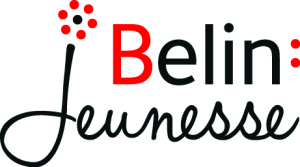 Belin Jeunesse is a part of the publishing group Humensis.